This Bohemia Quilt designed by Judy Anne Breneman of Patterns from History, The Pattern is available for free. "As I looked over antique quilts I was particularly drawn to this version of the Delectable Mountains. 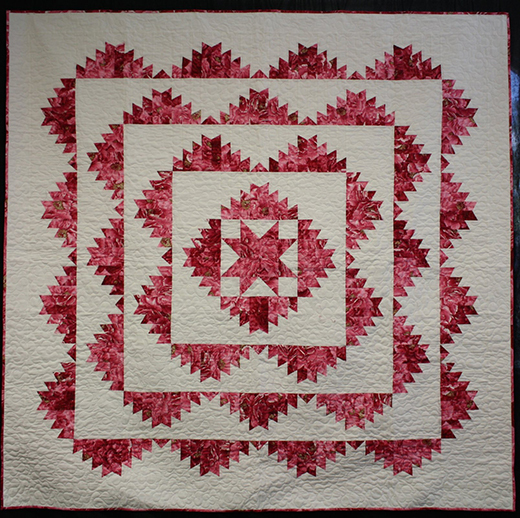 Although many versions have the rows of mountain repeated around the center like this quilt only a few had the Variable Star in the middle."